One of the finest most exclusive properties in Penarth that needs to be seen to be appreciated. 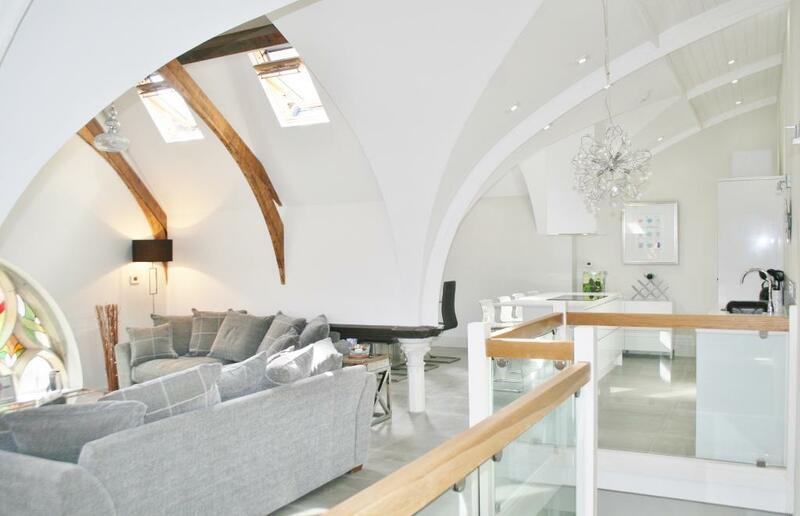 The property is located within an award winning church conversion where every effort was made to integrate the original features within this exclusive development. 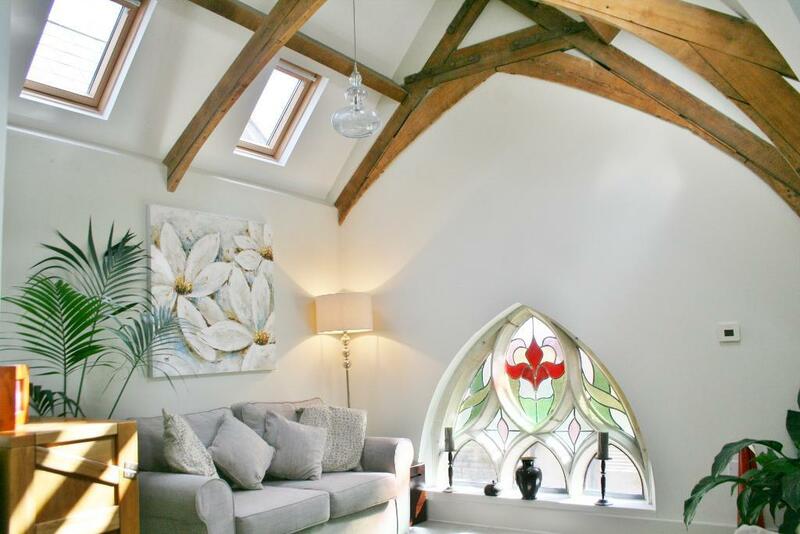 With vaulted oak beamed ceilings, stained glass windows, a bespoke kitchen, designer bathroom, underfloor heating, two double bedrooms (one with an en-suite) and the most incredible open plan living dining and entertaining area. The property also benifits from loft access providing even more storage.